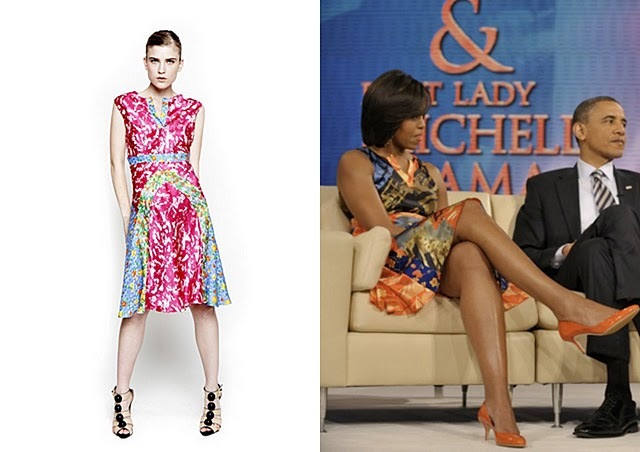 The lovely ladies of one of my fave blog shopliquorice spotted Michelle Obama wearing this beautiful sleeveless multi print silk by Nigerian designer Duro Olowu. Michelle Obama is for sure a big fan of the designer work because we've seen her over and over wearing these lovely dresses. I can't wait for more celebrities to embrace the work of our fabulous african Designers. You're kidding! I'm so freaking impressed. Where do you even find this stuff?! !